Kennett High School is proud to announce that senior Colin Petersen has been recognized as a National Merit Semifinalist in the 64th annual National Merit Scholarship Program. Colin is among approximately 1.6 million juniors who entered the 2019 National Merit Program by taking the 2017 Preliminary SAT/National Merit Scholarship Qualifying Test (PSAT/NMSQT), which served as an initial screening of program entrants. In addition to singing with the choir, Colin is a member of the spring musical and the academic team. The nationwide pool of semifinalists represents less than 1 percent of high-school seniors and includes the highest-scoring entrants in each state. The number of semifinalists in each state is proportional to the state’s percentage of the national total of graduating seniors. 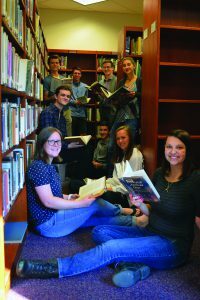 Kennett High School is also proud to announce that seniors Amanda Bell, Johnathan Bell, Emma Giancola, Molly Hohner, Rachel Hyzny, Peter Magasiny, Caleb Pebly, and Davis Peircy have been named Commended Students in the 2019 National Merit Scholarship Program. A Letter of Commendation from Kennett High School and the National Merit Scholarship Corporation, which conducts the program, has been presented by Dr. Hritz to these scholastically talented seniors. Amanda Bell is a member of the track and cross-country teams as well as Earth Club. She is also active with the high school’s musicals. Johnathan Bell is a member of the tennis team, Future Business Leaders of America, and marching band. Emma Giancola is a member of the marching band and is involved with Farrago and the fall play. Molly Hohner plays the violin and is a member of the Demon Robotics team, the Society of Women Engineers, and the tennis team. Rachel Hyzny is a member of the Society of Women Engineers, the Special Friends Club, and the cross-country and track teams. Peter Magasiny plays football and Ultimate Frisbee and is involved with the high school’s musicals. Caleb Pebly plays Ultimate Frisbee, is a member of the varsity academic team, and plays in the jazz band. Davis Piercy is a member of the track and tennis teams and Future Business Leaders of America. 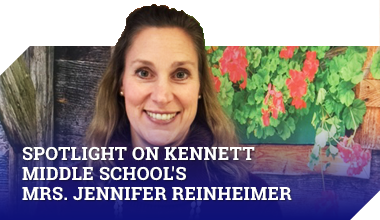 “We are so proud of these outstanding students—not only for their exceptional performance on standardized tests, but also for all the other ways they enrich the Kennett Square community,” Dr. Hritz says. Although these students do not continue in the competition for Merit Scholarships, Commended Students place among the top 50,000 of the 1.6 million students who entered the 2019 Merit Scholarship competition by taking the 2017 Preliminary SAT/National Merit Scholarship Qualifying Test.